With the recent launch of Google’s “Penguin” algorithm change – which aims to cut webspam detected through a number of different avenues including low value backlinks and keyword stuffing – deploying proper keyword optimization across your websites will become more important than ever. Now, when I say “proper keyword optimization,” I don’t mean, “pick a single target keyword and cram it into your web content as many times as you can.” That ship has sailed. Instead, as we move into the future of algorithm improvements and enhanced spam detection, it will become even more important to approach keyword research in a holistic way. 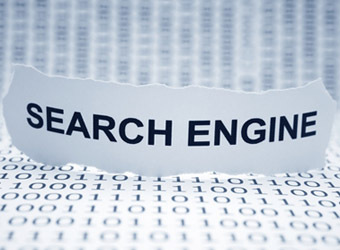 And to do that, we must recognize the semantic nature of the search engines’ indexing behaviors. “Semantics” refers to the meaning or interpretation of a word or phrase. Take the word “fan,” for example. If you typed this single word into Google’s search bar, how would the engine know whether you’re looking for consumer reviews of the latest box fans on the market, career information for your favorite movie star or some other piece of information related to one of the many possible uses of the word “fan”? Clearly, if you type the words, “industrial fan reviews,” into Google, the search giant won’t just return results that include this specific phrase. 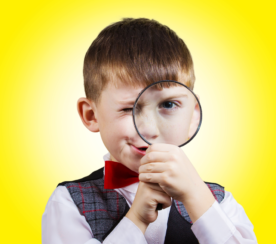 If Google stuck that closely to the text a user entered into the search bar, it’d often wind up displaying either poor quality results – or none at all. Instead, Google and the other search engines use their semantic indexing capabilities to pull results from related SERPs they believe are substantially related. 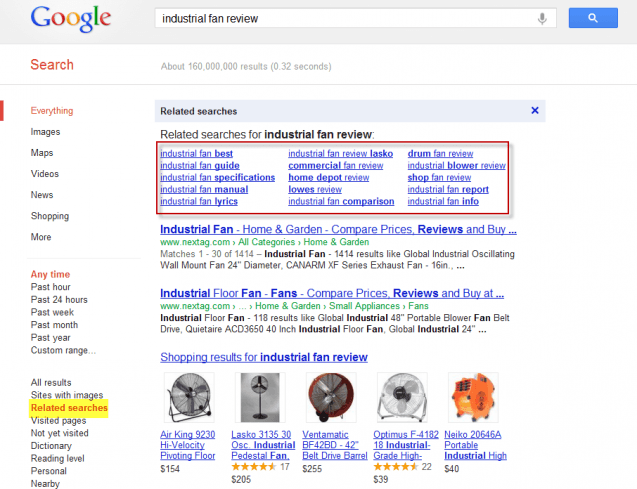 In the case of our “industrial fan reviews” example, Google might also return results incorporating the phrases “industrial fan comparison,” “industrial fan guide” or “commercial fan review” – among others. As you might expect, in order to increase the likelihood that our site will be shown in the SERPs for our main keyword, it will be to our advantage to incorporate these related phrases as well – giving the search engine spiders a better grasp on what our content relates to and how it should be both indexed and displayed. The first step in generating a good list of semantic keywords is to build a list of closely-related phrases – which we’ll call our “Level 1” core keywords. Basically, these keywords represent variations on our target phrase that don’t stray too far from its initial meaning. One of the easiest ways to do this is to use Google’s “Related Searches” feature. To do this, navigate to Google.com, enter your target keyword phrase into the search bar and complete the search. Then, once the results have displayed, select “Related searches” from the left-hand sidebar to display a selection of related keyword phrases. The advantage to carrying out your semantic keyword research to generate your Level 1 keywords in this way is that, because Google has listed these phrases as being “related,” we know that the search engine views them as closely related from a semantic indexing standpoint – making them a powerful starting point for our keyword research. Now that we have our core list of semantic keywords, it’s time to expand our reach even further, to capture thematically-related, supporting keywords. These “Level 2” keywords won’t be specifically related to our target keyword, but they will be tied to its concept. Following our industrial fan example, we can assume that someone who is searching for reviews on this particular type of equipment is doing so because of a heating and cooling need – whether it’s a machine shop that’s too warm, a damp area that needs drying or some other use. 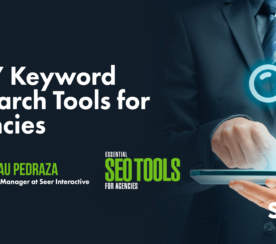 By brainstorming the reasons search users might have for entering our particular target keyword into the engines, we can compile a whole new list of keywords related to our main phrase. By incorporating these thematically-related keywords into our site content, we can increase the chances that our sites will rank highly in the SERPs – not just for our target keywords, but for the preemptive searches that will allow us to capture ideal users at an earlier stage in the process. Finally, we need to address one more element with our semantic keyword researching – and that’s queries or issues that may arise *after* users have explored content based on our main keyword phrase. Following with our industrial fan example, suppose our combination of targeting Level 1 and Level 2 semantic keywords has led a visitor to our site after searching for the phrase, “industrial fan reviews” and seeing our site in the SERPs. What type of information might this user need next? By this point in your semantic keyword research, you should have a comprehensive list of potential target phrases covering a range of related topics. 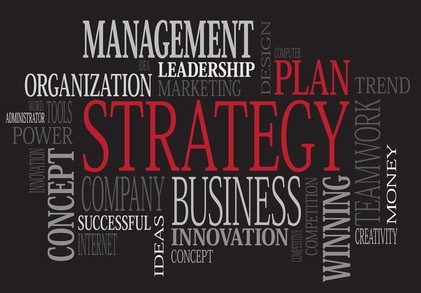 The next step is to put these items together as you outline future articles for your site. With these four keyword phrases together, you could easily write an article titled “The Complete Industrial Fan Guide” that covers both how to use industrial fans to cool an overheated machine shop and how to buy fans specifically for this purpose. Touching on all of these different points will improve the search engines’ understanding of your site, as well as open you up to potential SERPs exposure for a much wider variety of keyword phrases. One final tip for incorporating semantically-related keywords into your website’s content… Building these varied phrases into your web articles should help eliminate the stilted, unpleasant content that results from trying to stuff a single target keyword into your text a certain number of times. 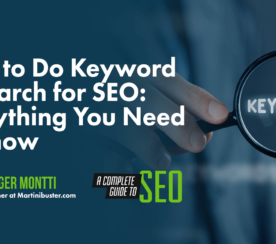 However, it’s still important to focus on using your new keyword lists to write content that’s as appealing to your readers as it is to the search engines. If Google’s recent crackdowns on webspam are any indication of its future intentions, it’s safe to say that the best long-term strategy is to use semantic keywords to enhance the value of your copy – without letting its optimization eclipse the quality of the information you deliver to your website visitors.